Ready for the time you will spend shopping, looking for parking, dealing with crowds, and not knowing what to buy for your way too long list? Imagine yourself crafting up gorgeous botanical beauty gifts in your home. Your favorite music is playing... you are sipping tea or wine... and perhaps you have a sister or a friend with you. The relaxing fragrance of essential oils keeping you calm and happy while you use your hands to easily make artisan-inspired gifts using natural plant-based ingredients. The delight on her face to receive something so special would be worth it alone. But because you took the time to take care of yourself and get creative this holiday season, you're also giving your friends and family the gift of you. Your creativity. Your time. And your well being. They're going to appreciate that it came from your heart, was made with your hands, and fed your soul. It's easy to look like a pro crafter, even if you're a total beginner. If you don't know where to start and you think making tub teas, bath bombs, and lotion bars is difficult, this course will be your best friend! The recipes in this course are so easy to make that if you can make a salad or warm up leftovers then you can do this! You'll be guided step-by-step through making each type of project and the all-natural, plant-based ingredients used. And learning about the herbal properties and health benefits will help you customize the projects to suit your tastes while feeling pretty darn good about what you are making and giving. If you are more experienced at crafting, you will quickly be able to take the techniques and ideas for incorporating botanical elements and make them your own. And each and every project comes with gift wrapping instructions to make them truly stand out from all the typical gifts that you see during the season. Stephanie Rose's studies in organic gardening, permaculture, herbalism, and natural skin care formulation were inspired by the desire to live a better life through plants. 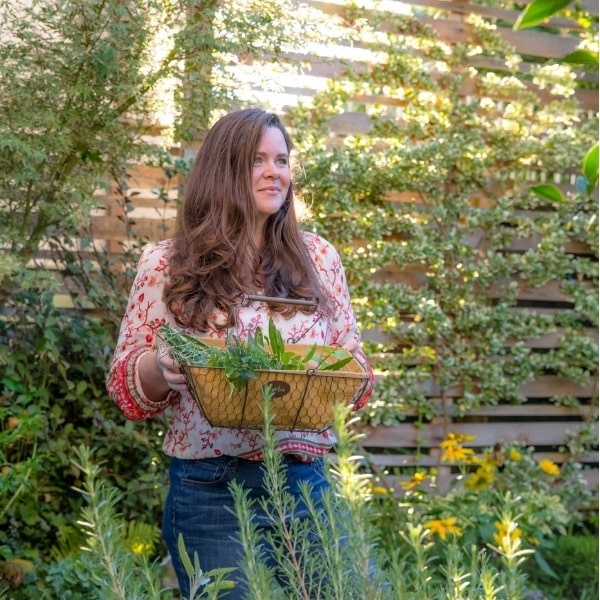 She builds communities and shares stories of healing and wellness as an award-winning author and the creator of Garden Therapy® (https://gardentherapy.ca). .
Stephanie started making her own natural beauty products and soap in 2008 to use what was growing in the garden for personal beauty and wellness. After studying with a variety of soapmakers, aromatherapists, and herbalists, she switched all of her skincare products to homemade herbal preparations and has never turned back. Stephanie lives in Vancouver, BC, where she can be found in her garden or studio creating beautiful things with natural elements. As a master gardener, she volunteers with a school-to-farm program that teaches inner-city children how to grow and cook their own food. This Beautiful, Inspirational Home Apothecary Book Is Included! When you join this workshop series, you'll get a digital PDF copy of Make & Give Home Apothecary. It comes packed with 12 step-by-step techniques that are made with accessible all-natural ingredients. Each of the techniques can be customized to make hundreds of personalized creations. The projects also comes with adorable ideas for packaging using leaves, garden twine, clay, flower petals and more. You won't miss the glitter one bit! It’s totally possible to celebrate the holidays without glitter, artificial colors, or synthetic fragrances. If you're like me you're a maker who loves using natural elements to craft with. You use natural ingredients because they're better for you, better for the earth, and create less waste. Hand crafting your own botanical beauty gifts from all-natural plant-based ingredients is not only a wonderful way to spend your time but it's a heartfelt gift to share with your friends and family. And if some of the ingredients come from a garden that you've tended or from plants that you've harvested the gift truly comes from your labor of love. If you think that all natural health and beauty products are boring and think again! Nature provides us with so much inspiration and beauty. Using flower petals and herbs, essential oils, beeswax and cocoa butter, you can make gorgeous products that are so natural you can eat them but so beautiful that they look like works of art. While this workshop is based on Make & Give Home Apothecary, it includes so much more. There are in-depth lessons on the ingredients and skin benefits, video demontrations of three of the techniques, equipment and supply tips, and more gift wrap ideas than you can imagine! Plus there are three bonus projects not included in the book: Spa-in-a-Jar, Rose Tub Fizzers, and Vanilla Bean Winter Lotion Bars. AND the workshop includes printable labels for the projects, a fun printable gift wrap idea, and a set of printable gift tags. All you need for this workshop is a kitchen scale, double boiler, a baking mold (like a muffin pan or ice cube tray) and kitchen tools like spatulas and bowls. No hard-to-find equipment is needed, you likely have everything you need in your kitchen right now. All of the ingredients can be found in a natural grocery store or online very easily. The workshop has an extensive resource guide to find all the ingredients as well as a multitude of packaging and wrap options. Can I sell these in my shop / at a craft show? Yes, absolutely! The designs for these projects are easy to make quickly and even easier to scale into large batches. Can I make up my own recipes? You bet! Once you make-a-long the first project, feel free to add your personal touch by swapping the ingredients. This workshop will give you the confidence to customize the recipes. 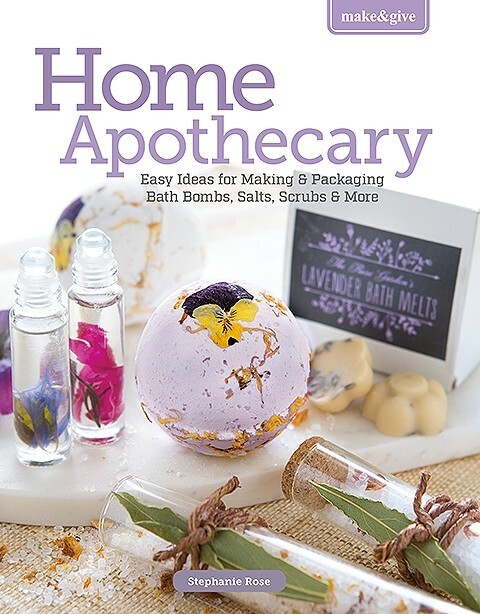 The ENTIRE workshop is currently selling for just $55 USD which includes ALL of the projects, videos, tutorials, a copy of the "Make & Give Home Apothecary: Easy Ideas for Making & Packaging Bath Bombs, Salts, Scrubs, & More" e-book, three (3!) bonus projects, printable labels, AND printable gift tags. What if I'm not happy with the workshop? No problem! We offer a 15-day money-back guarantee. Just send us a note before you have viewed more than 15% of the workshop and we will refund the course fee. 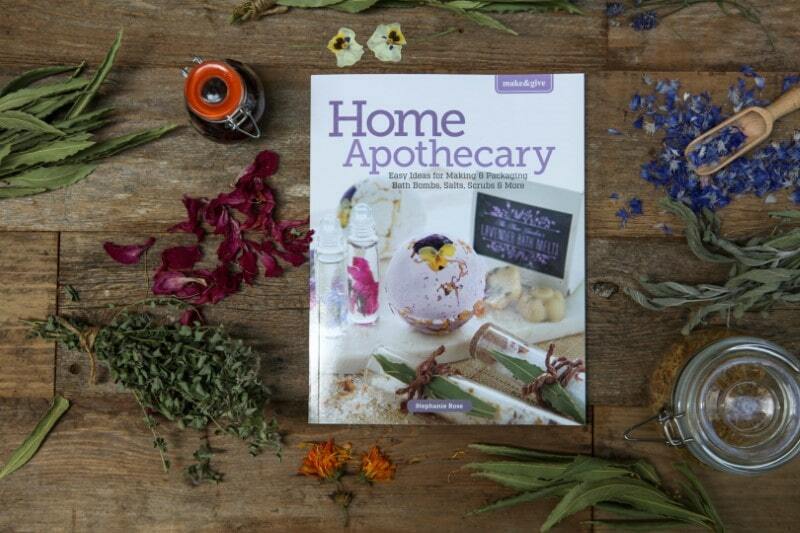 Please note that cover price of the Home Apothecary book can't be refunded. The Botanical Beauty Holiday Gifts Workshop is running now through mid-December. The workshop is self-paced so you can get crafting right away, or take you time to go through each section. Bring along your ingredients and make them along with the videos and you'll have a stockpile of handmade gifts in no time! You have unlimited lifetime access to this workshop on all devices you own. Get in on the fun before Christmas!